Bright neon pink (limited edition). Smooth, creamy-feeling formula. Not too dry at all. Felt very comfortable to wear. Wears for a very long time. It didn't bleed or feather or otherwise travel outside my lip line when worn alone. The Dear Diary color is awesome. Very bright and flashy. It doesn't form a weird, uncomfortable film on your lips like traditional long-wear lipcolors. Has that MAC vanilla scent that I love so much. 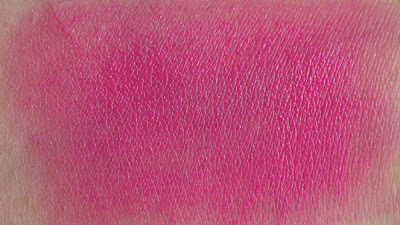 It's described as neon pink, but it's not quite neon bright. 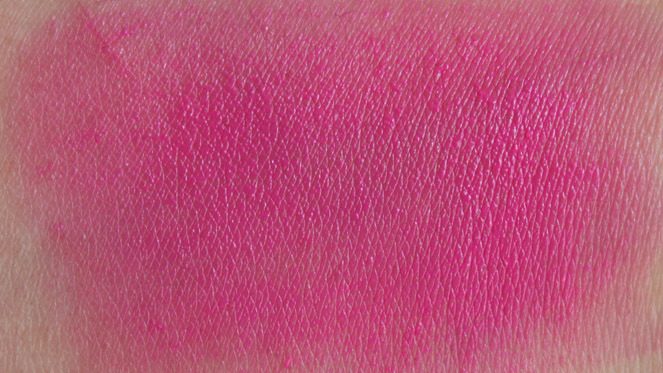 It's similar to Illamasqua Eurydice, not as bright as Obsessive Compulsive Cosmetics Anime. 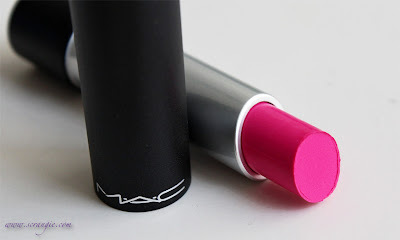 The shimmer-free finish can highlight dry or flaky skin on your lips. Be sure to exfoliate and apply lip balm the day you plan on wearing this. Didn't last a whole 12 hours like the website claims, but it still lasts really long. It doesn't stay on through eating, but will last if drinking from a coffee mug or through a straw. 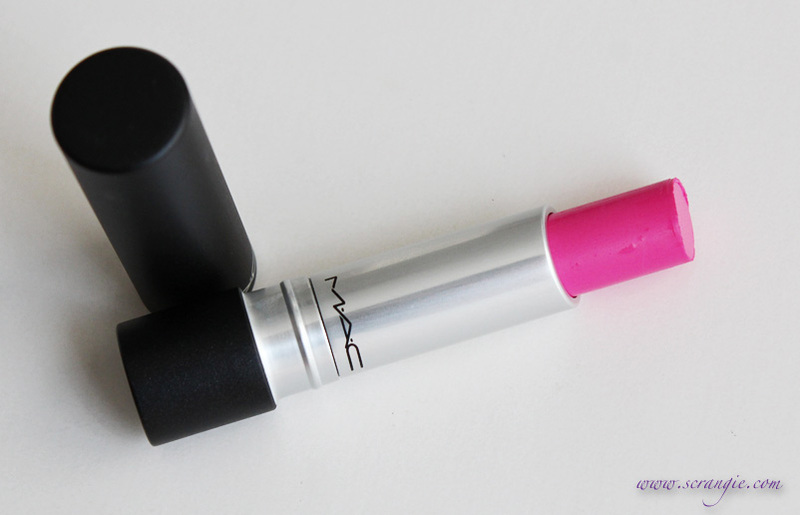 This color is awesome, but the Pro Longwear Lipcreme formula makes it even better. This is my first time using a Pro Longwear Lipcreme and I'm impressed. Normally I shy away from wearing lipstick because of how dry it makes my lips feel, but this was surprisingly comfortable. I didn't feel like I needed balm or gloss over it and my lips didn't look flaky or wrinkly after wearing it. It didn't feel heavy or thick and it wasn't sticky. 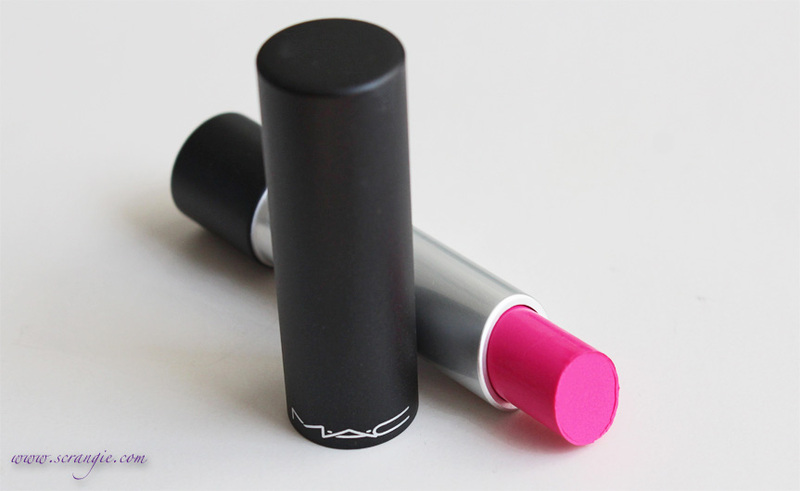 Great formula, great color. Think I need to pick up some more colors of this! 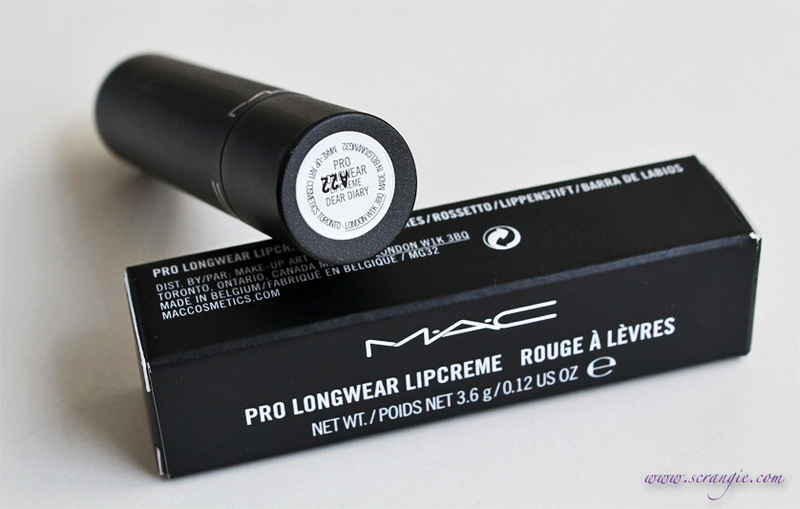 The MAC/Beth Ditto Collection Pro Longwear Lipcremes are $17 for 3.6 g/0.12 oz and are all limited edition. I think I'm just going to stick to my tube of Show Orchid! Woah, it's neon to me! I love it though! OH MY GOSH. This looks so fantastic on your lips. I definitely want this in my collection!! Beautiful color!! I think I will check out the other shades, I still haven't tried that formula! Love it. Looks very isabella blow!